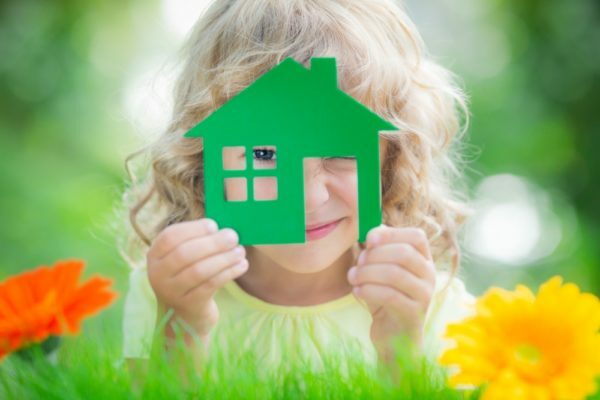 It’s always important to focus on saving energy in your Sugar Land, Texas, home, but that can be a challenge if you have children. Enlist your kids’ help in saving energy by teaching them a few simple ways to reduce electricity use during the summer. With patience and practice, you can teach them that conservation is important not only for reducing costs but also for protecting the environment. Kids learn a lot by watching their parents. You can tell your children what to do, but it’s much more effective to show them through your actions. Make sure that you practice what you preach about energy conservation in your home. Make it a point to turn out the lights when you leave the room, and practice other energy savings options, such as closing the curtains and blinds to keep out extra heat. Explaining to your children why you do this will help them to learn by example. Although turning off the lights and electronics is an important facet of energy conservation plans, your air conditioner and other major appliances are the big-ticket items. Explain how misusing or abusing these systems makes a big difference in energy use. Show them how to program the thermostat appropriately. They should also learn to turn off computers, televisions, and gaming devices when they are no longer in use. Unplugging them will do even more. Taking care of your systems and scheduling regular maintenance for your major appliances are lessons that you children will need to take with them into adulthood. They should also be taught to conserve water and to limit the length of showers. Kids love challenges and games, so try challenging your children to find new ways to save energy in the home. Consider offering rewards for kids who remember to turn off the lights. Instead of punishing your kids or getting frustrated when they are wasteful, reward your children for taking an active part in energy conservation activities. If you haven’t yet scheduled preventive maintenance for your AC, we are the people to call. Contact Conditioned Air at 281-201-0356 to schedule an appointment today.